Characterised by a diversity of media produced over 1200 years and spanning several continents, the Arts of the Islamic World sale will take place on 1 May in London. Precious gem-set and enamelled jewels from India testify to the sophisticated wealth of the Maharajas and their entourage, as do two extremely fine miniature paintings from renowned Mughal albums of the 16th and 17th centuries. 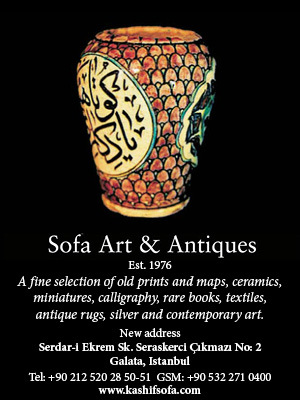 The Ottoman Empire, which endured for over 600 years, is exemplified through multiple media, notably ceramics, calligraphy and fine textiles. 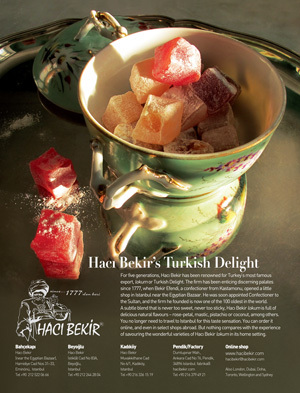 This is best witnessed in a rare and important ‘Golden Horn’ Iznik dish, that is offered on the market for the first time since April 1986, when it last appeared on the cover of the catalogue. An important private collection of arms & armour displays the variety of weaponry used throughout the Islamic world, and the final section of the sale is dedicated to fine rugs and carpets.